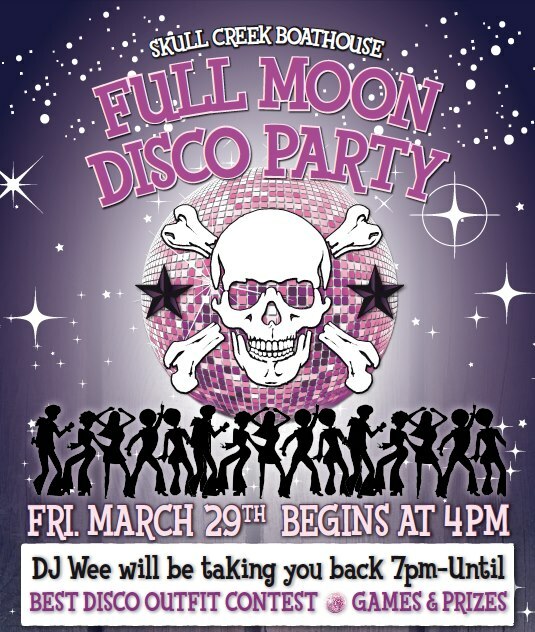 Full Moon Disco Party tonight at the Skull Creek Boathouse. DJ Wee will be playing your favorites from the disco decade starting at 7:00. Best Disco Costume Contests, Games and Prizes! Get down with your bad self.